Jeffrey Daly: "Global Support for USA Prayer and Repentance"
I'm VERY excited, more than most of the time. Yes, Australia, and many, MANY other nations are feeling "called to pray for the USA," especially this next week, April 30-May 7. This coming week, we are going to publish articles every day about the CALL TO PRAY for the USA, and some of these calls are coming from Australia (and other surrounding territories and nations) as well as prophetic voices from the USA. Now, when I say, AUSTRALIA, I of course include their neighbors such as The Solomon Islands and even New Zealand. You're going to be amazed when you see these calls to prayer and the actual prayer points coming from DOWN UNDER and around the earth! Let your home groups and churches know... we are entering an amazing time of UNIFIED PRAYER for the USA... and folks, WE NEED YOUR PRAYERS! Thank you, Nations of the World for your intercession. WE NEED YOUR PRAYERS! 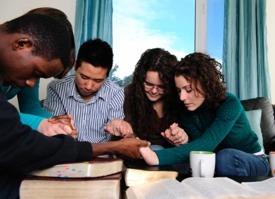 "Global Support for USA Prayer and Repentance"
With key support from prayer teams in Australia and other nations, many Christians in America will take time Thursday, April 30, 2015 to be with the Lord in their prayer closets and churches to observe a vitally important National Day of Repentance. Key support has come from Warwick Marsh and other members of Australia's National Prayer Team who are calling Believers in Christ in many nations to stand with Believers in the USA at this critical time (www.nationaldayofprayer.com.au). This year's National Day of Repentance for the USA will be a national and international grassroots event with two goals. 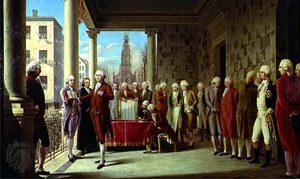 Honoring George Washington's Godly inauguration on April 30, 1789; one goal is to have at least 1,789 churches in America hold a repentance service on April 30 or on one of the next six days leading up to the National Day of Prayer on May 7. 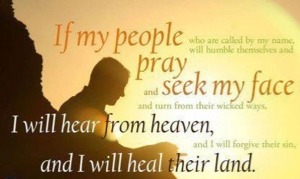 Repentance – turning away from our sinful ways back to God – opens the heavens so that the Lord (following 2 Chronicles 7:14) will "hear from Heaven, forgive their sin and heal their land." The acute problems in this and other nations are beyond politics. We are in a spiritual battle for the destiny of this nation. The spiritual solution, known to the founders of this nation, is to have the battle become the Lord's through the sincere repentance of His people called by His name. The repentance services will be unique to each Church and will provide times of prayer and repentance for personal and national sins. God willing, thousands will take a stand against apathy, cowardice, fear, pride, worldliness, sexual sins, the threat of redefining marriage despite Jesus' clear definition, idolatry, apostasy, breaking of our Godly covenant including not standing with Israel, moral decay, the shedding of innocent blood, and loss of religious liberty. Additionally, as a second goal, thousands more, in many nations in the Body of Christ, will participate on April 30 in an international "sacred assembly." For five minutes on April 30 (at 7 PM ET, 4 PM PT, and 9 AM May 1 in Canberra, Australia), thousands in their time zone, led by the Holy Spirit, will join in a simple prayer for the Godly roots of the United States to be restored. The suggested prayer will be posted at www.dayofrepentance.org and will be published on websites such as the The Elijah List and Breaking Christian News. In keeping with the Washington theme, intercessors from the State of Washington are already inaugurating the April 30 grassroots event, networking across the 50 states to reach pastors and priests to hold the 1,789 repentance services on April 30. 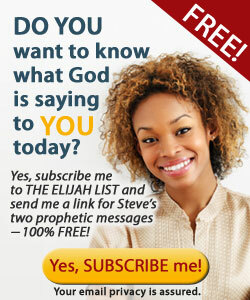 Become one of the 1,789 sites! Email us at jdalylaw@aol.com. 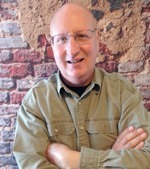 Jeffrey Daly pastors Jesus Christ Fellowship in Middletown, Lake County, California and continues to practice law. Together, with two other pastors, he founded National Day of Repentance in 2011 as a nonprofit organization and has volunteered since that time as the communicator for the project. NDR through its website, www.dayofrepentance.org, has now expanded to other Christians in other nations wishing to hold days of repentance in their nations. 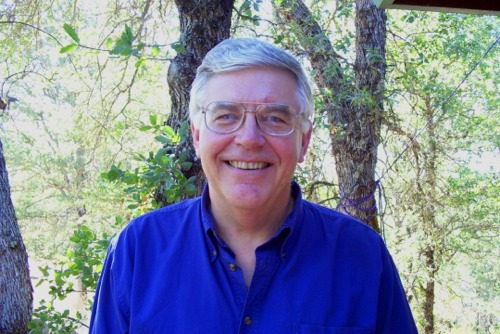 He welcomes comments at jdalylaw@aol.com and is currently writing a book, "Dining With the Risen Christ and Repentance" and planning soon to post it on the website as an e-book. Earlier e-books and other repentance resources are already on the NDR website at no charge.